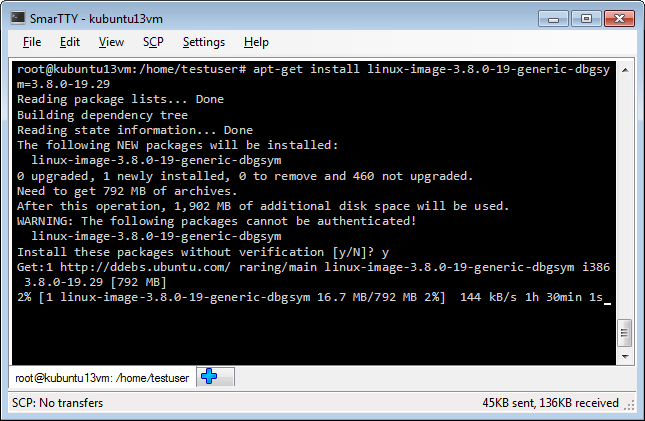 This tutorial shows how to prepare your a Debian-based (e.g. 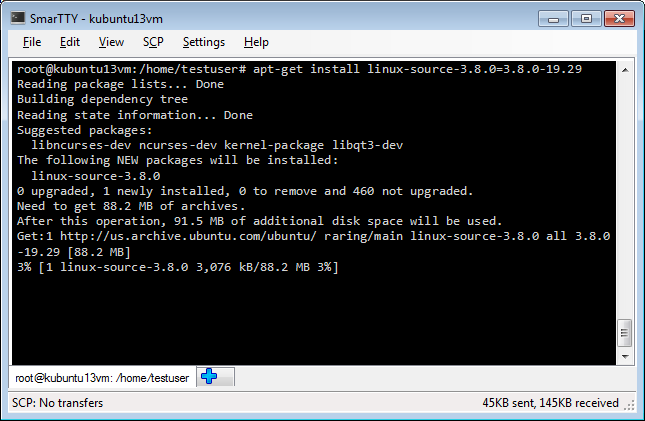 Ubuntu, Mint) Linux machine for kernel debugging without rebuilding the kernel. 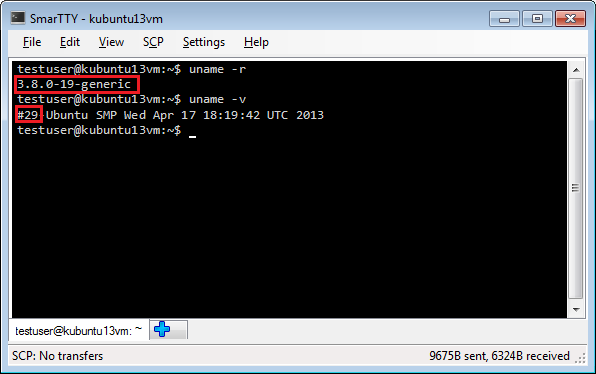 In this example the release is 3.8.0-19-generic and the version number is #29. 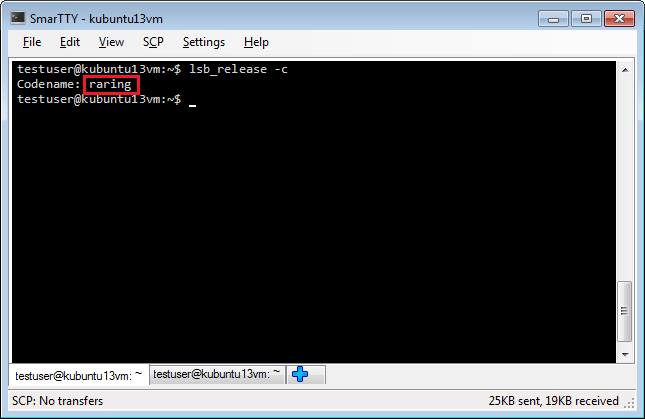 Determine the Debian release codename by running the “lsb_release -c” command: In this example the release codename is raring. 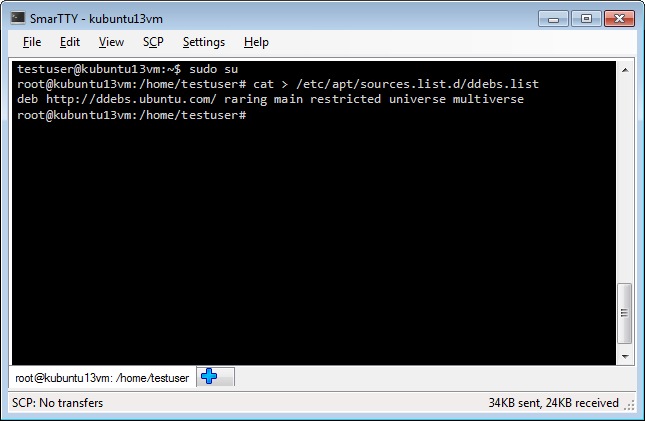 This will add a repository containing debugging symbols to your system’s repository list. 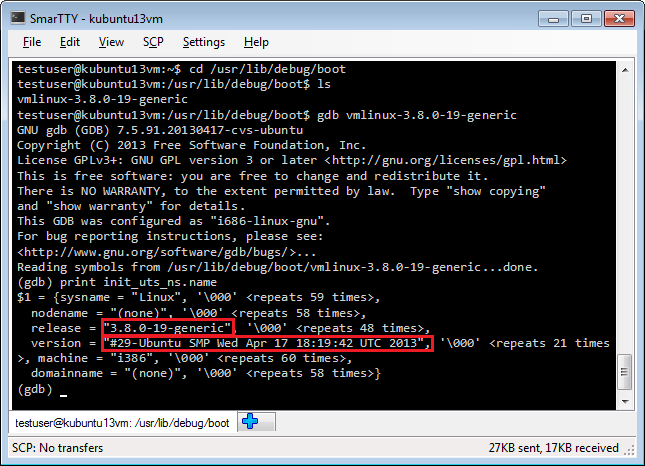 Now that you have both symbols and sources installed, you can use gdb to successfully debug your kernel. 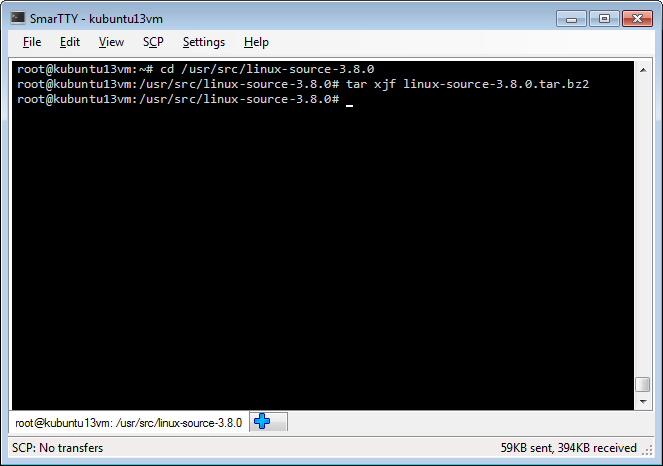 Note that if you are using VisualKernel, the sources/symbols will be automatically installed by the new project wizard (see this tutorial for an example).